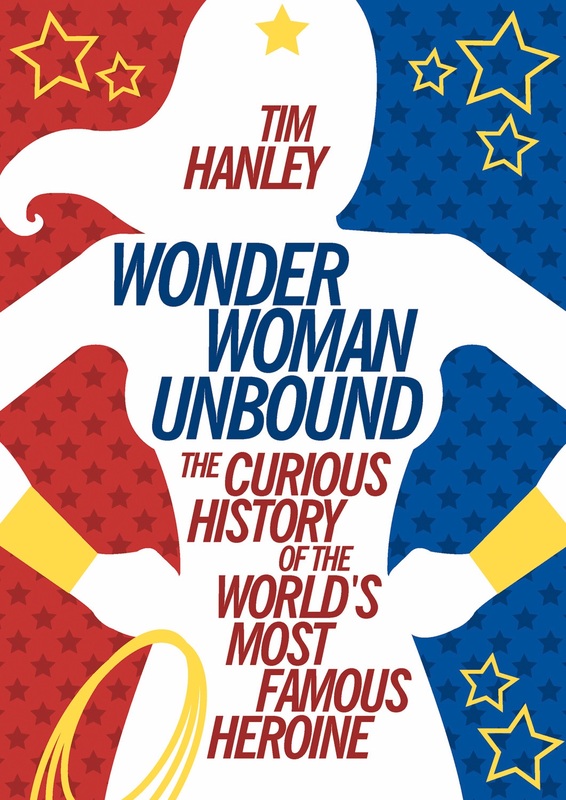 Today we are thrilled to have an interview with Tim Hanley, author of Wonder Woman Unbound: The Curious History of the World’s Most Famous Heroine. 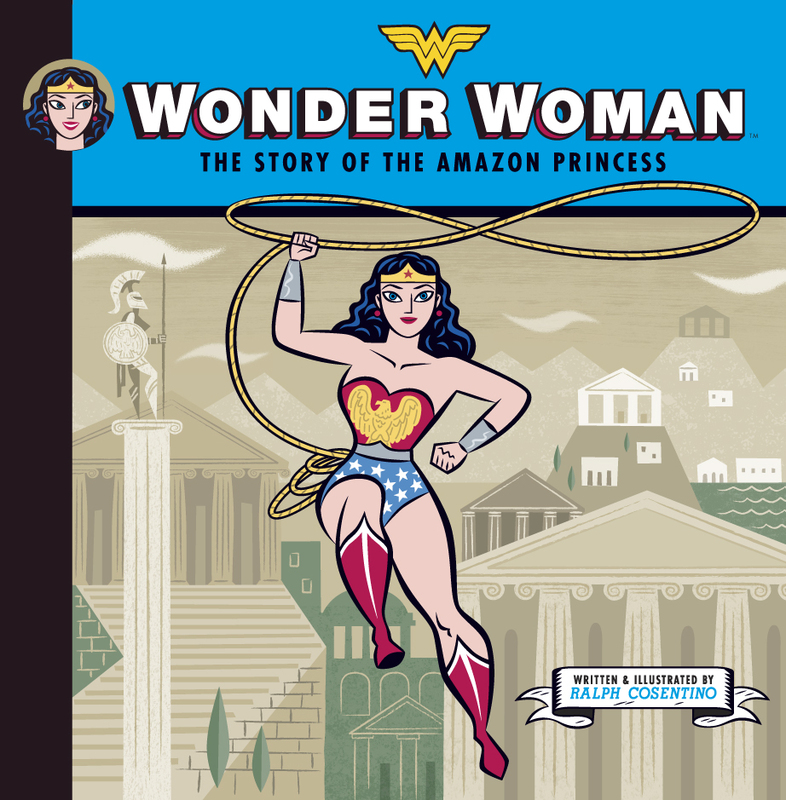 This book is a detailed, entertaining, and endlessly interesting look at Wonder Woman, from her first appearance in comics in 1941 to her portrayal in comics and other media today. Wonder Woman is a beloved icon who has had many different roles to play as society and the comics industry has changed over time. Of all the superheroes that have come and gone, why has Wonder Woman stood out as an iconic vision of a strong woman, even when her comics haven’t always portrayed her as such? Tim: I think there are two big reasons. First, for decades she’s been THE female superhero. There have been lots of other great female superheroes, but they come and go. They’re often in team books, and their solo stuff rarely lasts for long. Wonder Woman’s become the archetype. She’s starred in her own series for over 70 years now, and she’s the only consistent female superhero in a sea of male heroes. What she means to readers, particularly girls, just by existing in this male-dominated world holds a lot of power and strength, regardless of what’s actually going on in her comics. Second, since Ms. magazine and the Wonder Woman TV show in the 1970s, Wonder Woman has superseded her comic books to some degree. Wonder Woman the icon has trumped Wonder Woman the character. 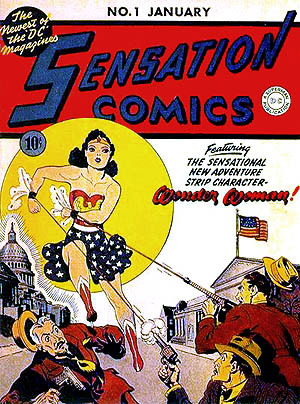 Millions of people know Wonder Woman from lunchboxes and “Girl Power!” t-shirts, while for the past few decades her comics have only been read in the tens of thousands. She’s a symbol now, equated with an idea of a “strong woman” to the general public. Plus, even in her weakest comic book incarnations, Wonder Woman’s always fought the bad guys and saved the day. There’s always something strong and positive to latch onto. If the original, Marston-version Wonder Woman could talk to the modern Wonder Woman, what would she say to her? Would she have any advice? Any praise or criticism? Tim: The original Wonder Woman was all about supporting and encouraging other women, so she’d definitely lead with praise. I think she’d be impressed with the modern Wonder Woman’s fighting prowess, and proud to see that her primary storyline in her New 52 comic has been protecting and inspiring another woman who is now displaying her own heroism. 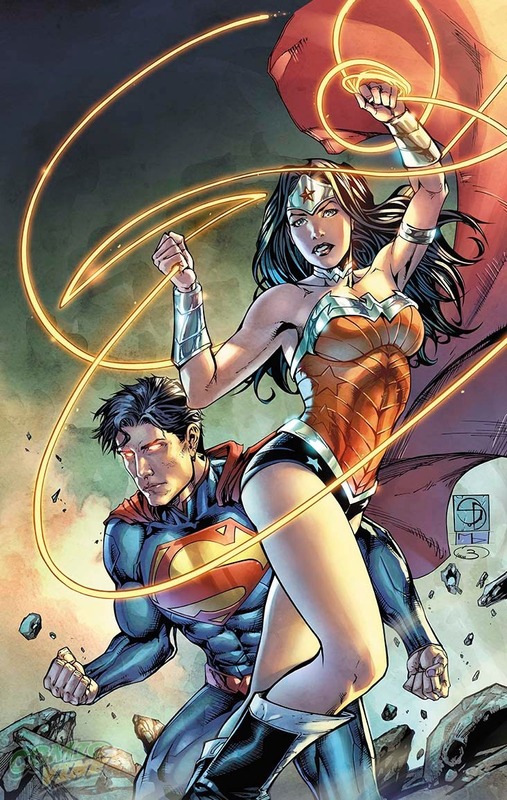 The original Wonder Woman would probably have some constructive criticism about her modern counterpart’s relationship with Superman, and her constant second fiddle role therein. Also, comics these days tend to be pretty violent, and Wonder Woman’s no exception; the original Wonder Woman might kindly suggest that today’s Wonder Woman might want to try to talk first and not throw punches so quickly. Do you have a favorite Woman Woman writer? How about favorite artist? What do you look for or hope for in a Wonder Woman comic? Picking a favourite writer is hard. I really liked Phil Jimenez’s run, and what Darwyn Cooke did with Wonder Woman in New Frontier was so good. And I love the old stuff, particularly Marston’s tenure. But overall, I’d have to say Greg Rucka. 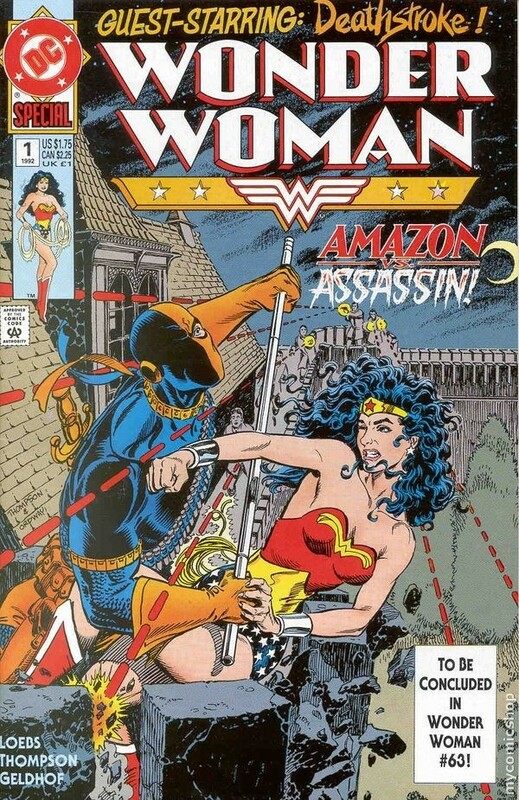 I really like how he combined the peaceful, diplomatic side of Wonder Woman with the warrior Amazon who’s prepared to fight when it’s needed. For artists, I absolutely love what Cliff Chiang is doing on Wonder Woman right now. He captures her so powerfully and beautifully, and the world he’s built around her is fantastic as well. I like his stuff so much that I actually own a page from one of his Wonder Woman issues. As for what I hope for in a Wonder Woman comic, what I’m looking for above all else is a kind but strong Wonder Woman who challenges something about our world. 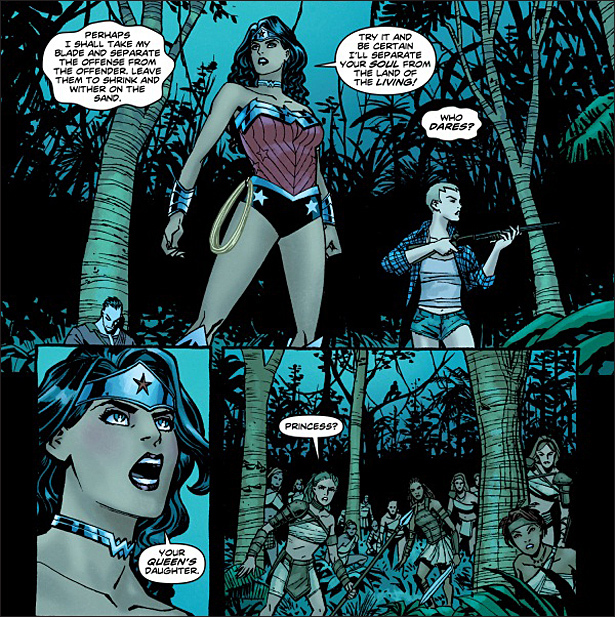 It doesn’t have to be obvious or ham-fisted (subtlety is always preferable), but to me Wonder Woman is the ultimate outsider who knows what she thinks is important and has no truck whatsoever with the way things have always been in our world, be it patriarchy or poverty or what have you. With so much fan demand for a Wonder Woman movie, do you think we are any closer to getting one? What would have to happen for a Wonder Woman movie to finally take off? It seems like we might be moving towards a Wonder Woman movie, but it will be quite a while until we get it. She’ll be in the Man of Steel sequel, and presumably a Justice League movie after that, so maybe we’ll get a solo film then, but we may well see another Superman movie or a new Batman or Flash film before they get to Wonder Woman. It wouldn’t at all surprise me if Marvel put out a Black Widow and/or Captain Marvel movie before Wonder Woman gets off the ground either. Everything Warner Bros. has said about Wonder Woman suggests that they don’t particularly get the character nor are they in any great rush to do anything with her. I think that for a Wonder Woman movie to happen, there might have to be some new people at the top who will bring in someone with a strong vision for the character. Do you see the comics industry changing as more women are involved in making and buying comics? Absolutely. The diversification of the creators and audience seems to directly coincide with a diversity of stories and genres. Since the 1980s, dark, violent comics have been the norm in comic book shops, but we’re starting to see a big shift. In the 2000s, people started to break out of that mold within the comic book industry, but also a lot of folks who were disinterested in the comic book industry started making their own, different comics elsewhere. The new audience brought in by both of these shifts has led to a wider, more diverse readership and now more diverse creators as well. There are so many great, different books out there right now, and it’s fantastic to see and will only grow from here. What issues or arcs would you recommend to a new reader? For an old school appreciation of Wonder Woman, the first volume of the Wonder Woman Chronicles is a good, affordable intro to the Golden Age, and the first volume of Showcase Presents: Wonder Woman is the same for the Silver Age. In terms of today, new readers might enjoy Greg Rucka and J.G. Jones’ Wonder Woman: The Hiketia graphic novel, the first collection of Gail Simone and Terry and Rachel Dodson’s arc in Wonder Woman: The Circle, or the New 52 Wonder Woman’s first collection, Wonder Woman Volume 1: Blood. Also, Darwyn Cooke’s New Frontier has an amazing Wonder Woman, and is a great story in general. Oh, and for kids, Ralph Cosentino’s Wonder Woman: The Story of the Amazon Princess is delightful. This entry was posted in Interviews and Special Guests and tagged feminism in comics, Tim Hanley, women in comics, Wonder Woman, Wonder Woman Unbound. This book sounds great and I totally agree with the author that we may get a Black Widow movie from Marvel(which would be awesome,as I just saw Captain America:The Winter Soldier and want to see more of her) before a decent WW film hits the big screen!